For me St Julien is perhaps most satisfying of the major Bordeaux appellations. Terrific wines are made here across the board and also the most consistent. Amongst the Chateaux, Château Léoville-Las-Cases has been operating at the quality level of a first growth for years and tops the appellation qualitatively, with Château Léoville Poyferré snapping at its heels and Château Léoville Barton, a model of classicism and restraint. Château Ducru-Beaucaillou is first growth status too. Château Gruaud Larose has emerged from a slightly quiet patch and seems back on good form while Château Talbot continues to produce harmonious and enjoyable wine, full of flavour and extract. Château Beychevelle has the most elegant label in all of Bordeaux; the wines are often similarly as elegant and intense. If in the past this estate has lacked consistency, it has put in a great effort in recent vintages. The 2009 Beychevelle was tremendous en primeur. For me the major bargain here amongst the crus classes remains Château Lagrange. It is consistently good in the medium years but excellent in the great years. The 2000 and 2005 are terrific. Château Branaire-Ducru and Château Saint-Pierre also produce good wines though I’ve had them much less than the rest. The unclassified Château Gloria is delicious and, as Bordeaux goes these days, usually a bargain. Château Langoa Barton, stablemate of Château Léoville Barton, produces serious tannic wines for the long haul, these tend towards the more austere wines of the appellation. That said Langoa-Barton 2009 is outstanding, not a million miles from the brilliant wine Léoville-Barton has produced in that year. St Julien is the smallest of the four principle Haut-Médoc communes and has the highest percentage of classed growths – 11 classified growths and 8 crus bourgeois. The terroir is very consistent with well drained gravel dunes close to the Gironde or inland gravel sloping away to the south. Broadly the vineyards divide into those closer to the river around the villages of St-Julien and Beychevelle and those a little further inland towards the village of St Laurent. 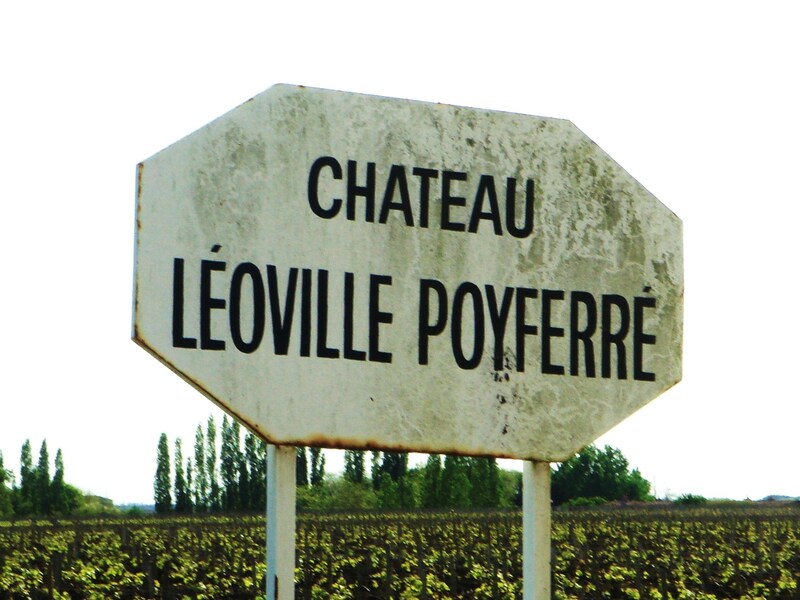 Amongst those classed growths close to the Gironde moving down from the Pauillac border are the Léovilles led by Las-Cases, followed by Léoville Poyferré and Léoville Barton, then Ducru Beaucaillou and Beychevelle. Chateau Gruaud Larose and Chateau Talbot are both further inland with Lagrange the furthest from the Gironde. Behind Chateau Lagrange nearer St Laurent, and now in Haut-Médoc territory, are three classed growths Château La Tour Carnet, Château de Camensac and Château Belgrave. These are listed for simplicity in the Haut-Médoc section of the site although they adjoin the appellation. For me tobacco, cedar, spices and meaty characters dominate in the mature wines of St Julien. Early on in life they are usually a little easier to appreciate than the wines of Pauillac, maybe partly because of the fractionally higher percentage of Merlot in the blend, though the wines can age just as well. St Julien is an extremely homogeneous appellation in terms of overall quality. Please do now click on the St Julien Tasting Notes‘ page for full raw tasting notes on the commune from 2012 back and on the individual chateau profiles for more specific notes.